WE ARE MANUFACTURE, EXPORTER AND SUPPLIER OF PAPER AND PAPER MADE PRODUCTS. MAINLY WE ARE MAKING ALL TYPES OF HANDMADE PAPER BAG, PHOTO FRAME AND RIGID BOXES, ETC. 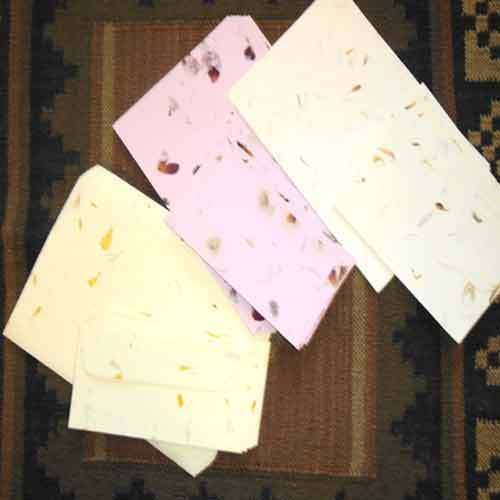 Ama Industries came into being in the year 2003 and carved a niche as the known manufacturer, exporter and supplier of Handmade Notebook, Paper Flowers and Paper Clipboard etc. We export in All over the world. Our products are made from the material of premium quality and in confirmation with the prescribed quality standards. Our experts make sure that products are tested stringently on various parameters before they are dispatched. Products we are offering are known for various features and their easy availability in the market. Under the guidance of Mr. Abdul Manan (Proprietor), we are successfully coping up with the changing business environment and responding to the clients need accordingly. We ensure to deliver our products at reasonable prices. Levying on the expertise of our professionals, we are successfully serving our patrons in an appropriate manner. Our team comprises quality analysts, R& D personnel, warehouse personnel, manufacturing experts and other staff. Trained on a regular basis our professionals are capable of facing the growing market challenge with great ease. Advanced infrastructure, equipped with necessary machinery has played a vital role in helping us to meet the customer’s orders timely. Strategic segregation of entire infrastructure into specialized department has enabled us to carry our business operations in a systematic way. Each department is headed by the experienced staff and they ensure to maintain synchronization between various tasks performed in these units. We ensure timely delivery of our products, provide customization facility and carry our business operations on ethical lines, all these factors have played a vital role in making us the preferred choice of customers. We make our range available at comparatively low prices, considering the budgetary constraints of clients.